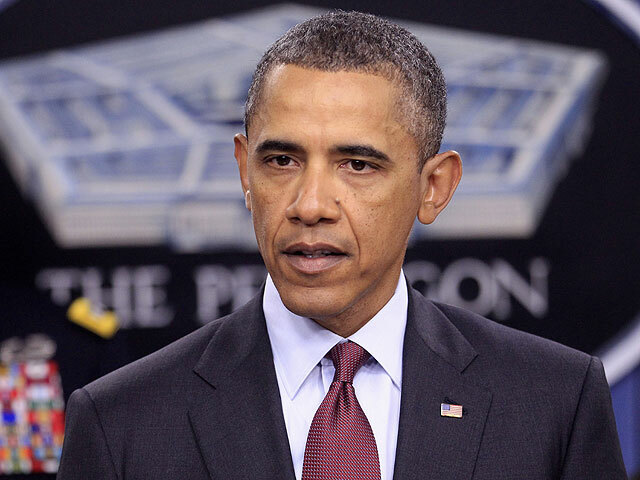 Will Obama's military cuts hurt the economy? President Obama and Pentagon leaders late last week unveiled a new defense strategy for a smaller, more flexible military force, which the president says will prepare the nation for the threats of the future while restoring balance between the defense budget and domestic spending. The plan would cut defense spending by 10 percent over the next decade, and there are worries that this could harm our ability to recover from the recession and potentially lower long-run economic growth. How valid are these concerns? Beginning with the worry about the effect of the cuts on the recovery from the recession, anything that reduces spending on domestic goods and services will slow the economy and hurt our ability to recover. Thus, if cuts to defense spending cause the demand for goods and services to fall substantially, there would be a corresponding decline in gross domestic product (GDP), and a slower recovery. Will the cuts cause significant declines in spending on domestic goods and services? To answer this, there are several things to consider: the timing of the cuts, the degree to which the cuts come from domestic rather than foreign spending, the size of the cuts, and their composition. The first thing to note, in a point made by Ezra Klein, is that although the growth of defense spending will be reduced, that growth will still be positive. Thus, relative to the old, higher spending trajectory for defense spending, this is certainly a reduction -- but there will still be growth over time. Therefore, while it's likely that economic growth will be lower than otherwise as a result of the cuts, the net impact of defense spending will still be positive. The other factors are more difficult to evaluate. As noted in The Washington Post, "The strategy review will not spell out potential $480 billion to $1 trillion in spending cuts that the Pentagon is facing over the next decade. Details of those reductions will begin to trickle out next month." So we don't know the composition of the cuts, their timing, whether they will come from spending in the U.S. or spending in foreign countries, and so on. But we do know the size of the cuts -- an average of to $48 billion to $100 billion per year -- and that is enough to matter, especially to a recovering economy. And although the exact cuts are unknown, it's probably a safe bet that several weapons system will be cut. (For example, there is already talk that Boeing (BA) is canceling plans for a new factory). Again, those types of cuts would matter. However, I expect many of the cuts will be delayed. That's good news for the recovery, but it also means the cuts will need to be even larger in the latter years of the 10-year window for spending reductions. But even if the cuts are larger than average in the later years, so long as the economy is relatively healthy when the cuts are made, they shouldn't have large negative effects. However, if the recovery is very slow -- if there are still many years to go, as many analysts expect -- then the chances that these cuts will hit too soon increases quite a bit. Turning next to the concerns about long-run growth reported by Binyamin Appelbaum of The New York Times, the worry is that cutting military spending on research and development (which represents 12 percent of total military spending) will reduce technological spillovers to the private sector and harm long-run economic growth. There is less than full agreement among economists about the degree to which these types of spillovers are important to economic growth. However, even if there are important spillovers, as Ezra Klein notes, there are more effective ways to produce the type of R&D that enhances future growth than relying upon spillovers from military technology. Thus, to the extent this is a problem, the answer is to redirect the spending to non-military research efforts. There are concerns about the economic impact of the cuts to defense spending in both the short-run and long-run. However, those concerns are likely overblown. In short short-run, so long as the cuts to overall government spending are delayed until the economy is on better footing -- as they are likely to be -- they should not have a large impact on the economy. And in the longer run, there should not be any substantial harm to economic growth so long as research outside of the military receives adequate support.